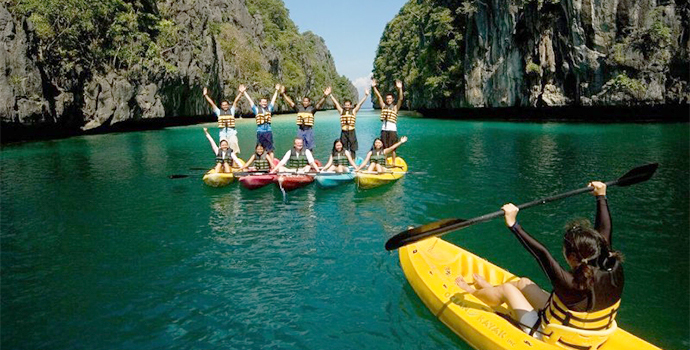 Start your adventure on Day 1 as you arrive at your Manila accommodation and meet your group! 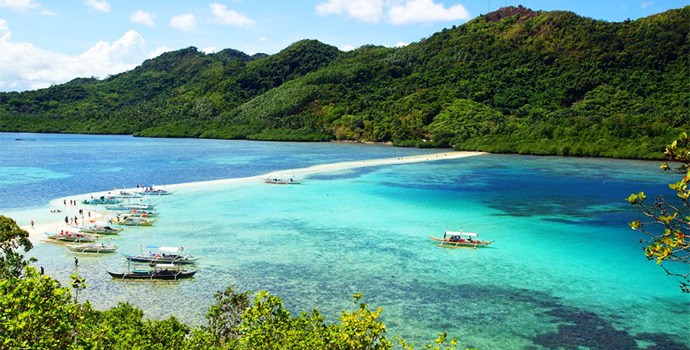 Fly to beautiful Palawan on Day 2 and settle into your Port Barton accommodation. 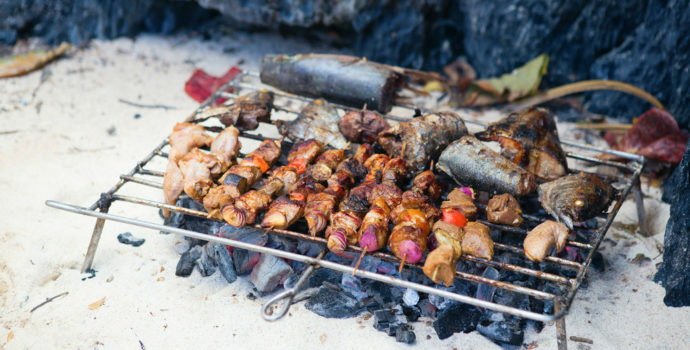 Enjoy an island hopping tour on Day 3, complete with fishing, snorkelling, and a beach BBQ. 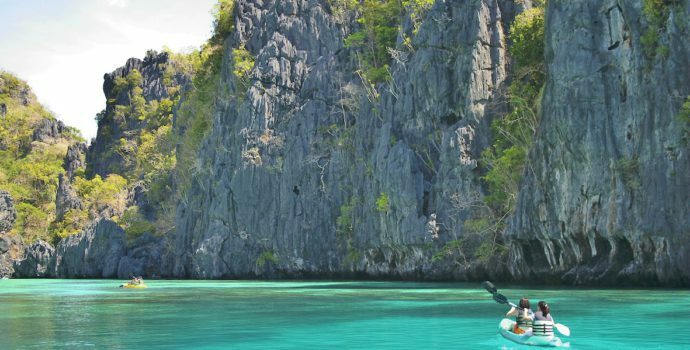 Transfer to incredible El Nido on Day 4 for a night of beach bar-hopping and embark on a 2-day private boat & kayak adventure on Days 5&6. 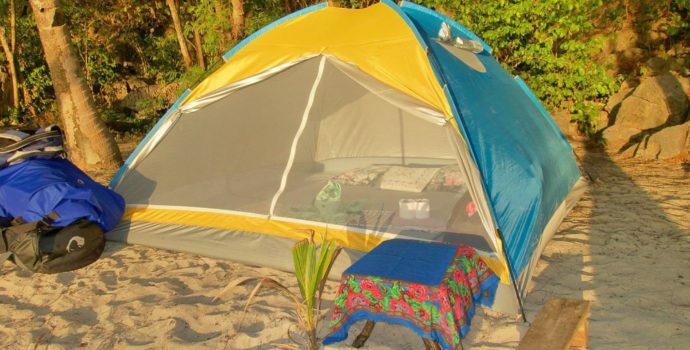 Go snorkelling and camp out on a remote beach for an unforgettable experience in pristine nature! Venture into the jungle on Day 7 for an amazing inland adventure where you will swim at a hidden waterfall and explore ancient caves. Fly back to Manila on Day 8 and discover parts of the city rarely seen by tourists with a bike tour on Day 9. Say goodbye to your new friends on Day 10 and end your trip after check-out. 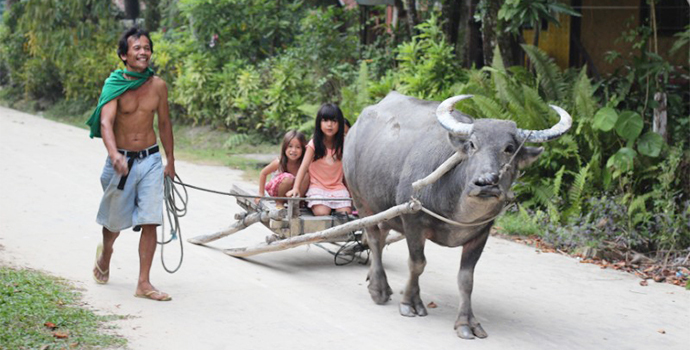 Kamusta and welcome to the fantastic Philippines! Arrive anytime and make your way to your accommodation, where you can start to meet the rest of the group as they trickle in. You will be staying in the heart of Makati, Manila’s hip business district. Depending on your arrival time, you can choose to go for a walk with your tour leader to discover the surroundings, or hop in a cab to discover the Green Hills Mall, a huge market where there are no set prices and everything is about the art of the deal. Practice your haggling skills on everything from local handicrafts to mobile phones. Hungry? Go discover a hole-in-the-wall joint for your first taste of mouth-watering Filipino food! At 6pm you will have an orientation meeting with your group and your Happiness Leader for an overview of your upcoming adventure. In the evening head to the rooftop bar of your hostel, a popular spot for locals and tourists alike, to meet your group members and bond over cocktails, or rest up in your room before the real adventure begins! Overnight in Manila. Note: Make sure to withdraw cash before you leave Manila, as this is your last chance to find an ATM before heading to Palawan. Today we join a local guide to do some island hopping around breathtaking Port Barton! Discover remote beaches where you can enjoy the soft sand and the crystal clear water. Don’t worry, we’ll bring the snorkelling gear! Our first stop will be the most special of the day, with a visit to the local fishing village of Begaho. Here you’ll have an experience that very few travellers get to have, by interacting with the locals to learn how they sun dry their fish to create a local delicacy. Try one yourself if you’re an adventurous eater! Take a refreshing dip in the local waterfall before we continue on our island hopping tour. Back on the boat you’ll put your fishing skills to the test to see if you can catch your own lunch using traditional Filipino methods taught to you by the locals. If you don’t have any luck, not to worry! We’ve packed plenty of food for a BBQ on the beach. Upon arrival back at Port Barton, we will take a walking tour to see how the locals live and visit the market to see what kind of products are made in the surrounding areas. At 7pm we will end our tour with a Philippine-style dinner where you can unwind, have your fill, and share some hearty laughs with your group at one of the local restaurants (not included). Overnight in Port Barton. 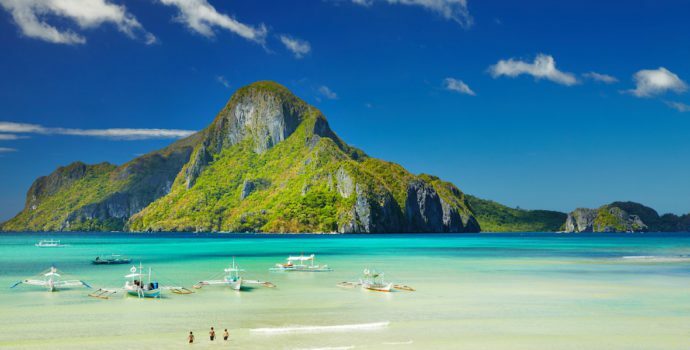 Today we depart beautiful Port Barton for a 5-6 hour drive through stunning landscapes to central El Nido. We will walk from here to our accommodation, about 5-10 minutes. Relax, get something to eat, and unwind from the long drive until 10pm, when we head out for some beach bar hopping! Try the local beer and spirits with free drinks along the way and impress your new friends with your fearlessness behind the mic at karaoke! 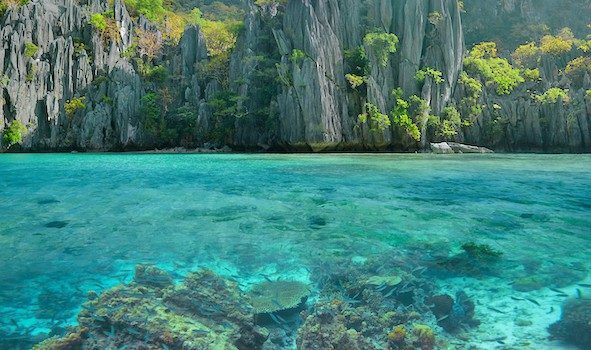 Although it’s still down to earth and is way less developed than hotspots like Thailand, El Nido is the most party friendly and popular tourist spot in Palawan, so take advantage and stay out late with your friends! 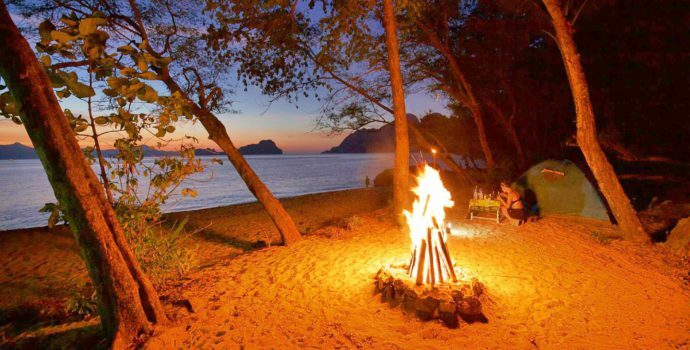 Overnight in El Nido. 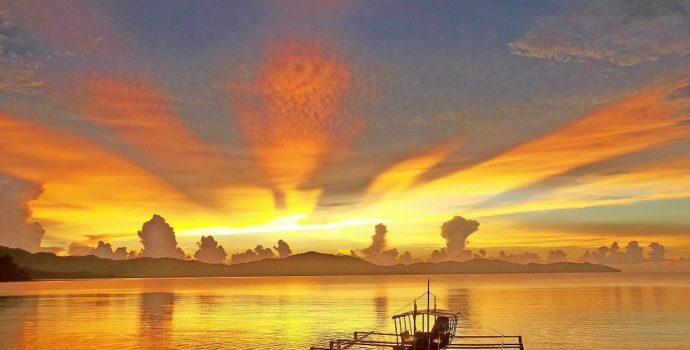 This morning you will be transferred to the airport in Puerto Princesa to catch your flight back to Manila. 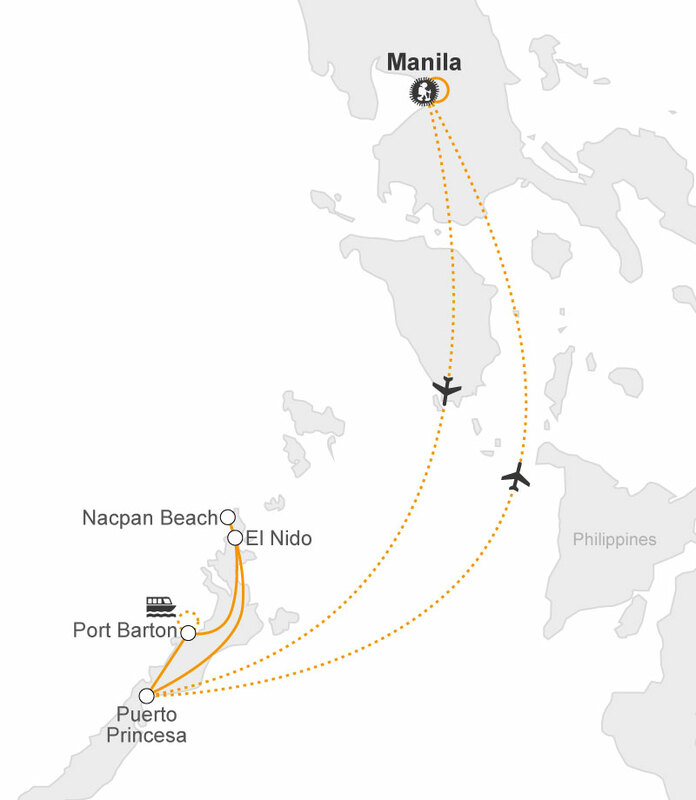 At the Manila airport, there will be a private van waiting to bring us to the hostel, located in a great area where you can find all kinds of bars, clubs, shopping malls, restaurants and so much more, just by walking around. Overnight in Manila. 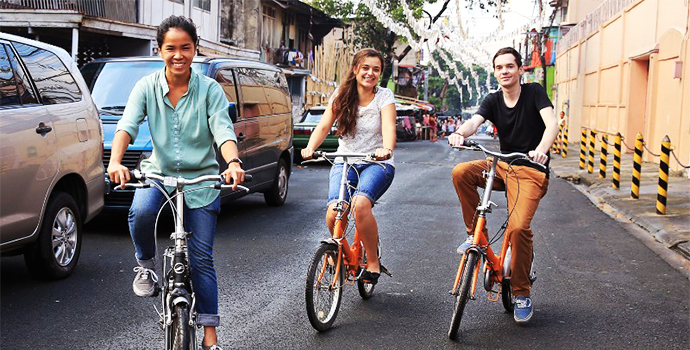 Today you will discover the real Manila on a city bike tour. We will pass by residential areas rarely seen by tourist on the way to the old part of Intramuros. From here we will head to Rizal Park and the Cultural Center of the Philippines before ending the bike tour cruising down Roxas boulevard, in Manila’s Baywalk area. The tour will take around 4-5 hours and we will cover about 10 kilometers, the perfect way to see Manila has to offer. At 6pm we will start THE dinner of the tour. Get ready to try something completely locals-only that you have never experienced before: a boodle fight! Dinner will be served on a long table topped with banana leaves, covered end to end with Filipino delicacies. No dishes, no utensils, just pure, delicious anarchy! Eat until you’re fit to burst and prepare to party the rest of the night. This will be the last night to hang out with your friends and make the most out of this once-in-a-lifetime experience. Make it count! All good things must end. Make sure that you exchange contact information with your new friends, you’ll have a lot to reminisce about! Say goodbye and check out of your accommodation. We wish you a safe journey onward! Airport Transfers on First & Last Day, Other Meals/Drinks, Tips, Personal Expenses, Travel Insurance, Service Charges for Domestic Flight & Ferries, International Flights.